A bond (sometimes called a ‘security deposit’) is a payment by a tenant that acts as a security for the owner, protecting them from any financial loss they might have if a tenant breaches their lease. A bond cannot be more than four weeks’ rent, and cannot be increased during the tenancy. All bonds must be paid to Rental Services or to a property manager in a real estate agency (an agent). It is illegal for property owners to receive a bond from a tenant. If the bond is paid to an agent, the agent must forward it to Rental Services. Rental Services holds the money until the end of the tenancy when someone on the lease claims it back. Interest is not paid out on bonds. posting the form with a bank cheque or money order to the Rental Deposit Authority (RDA) (do not post cash), or with the agent if they prefer. Many owners require a receipt prior to providing the keys. If the form and bond money is lodged with an agent or directly with Rental Services, then Rental Services will post receipts direct to the tenant.  Service Tasmania will issue the tenant with a receipt for themselves a receipt for the owner or agent. The receipt will show your unique bond number that identifies your bond in the Rental Services system. You will need this number when claiming your bond at the end of the tenancy. The receipt from Service Tasmania will not include a bond contribution from Housing Connect. If they have made a contribution, Rental Services will send another receipt that includes their contribution. Please Note: Only people registered to the bond record (from the Bond Lodgement or a Transfer Form) can claim back their bond. Tenants living in share houses might all choose to pay their bond to one person, with only that person’s name written on the Bond Lodgement Form. In this case, only that named person can claim back the bond. If transferring tenants, a Tenant Transfer Form (pdf, 158.9 KB)should be completed showing how much bond each tenant has contributed (see Transferring a bond). Pet bonds are not allowed. Only one bond amount is allowed for a tenancy, and a pet is not able to enter into a lease. If Housing Connect (Colony 47 or Anglicare) pay some of the bond, they will pay the RDA direct. A PRSS (private rent assistance) number is given to the tenant who includes this number on the Bond Lodgement Form. If more than one tenant is receiving bond assistance (that is, separate PRSS numbers for the tenants), separate Bond Lodgement Forms should be submitted for each tenant. Separate bond numbers will be given. For how to transfer a Housing Connect contribution, see Transferring a Bond – Housing Connect contributions. For how to claim against a bond that has a Housing Connect contribution, see Claim by owner to an assisted bond. A property manager or an owner of a large portfolio of rental properties can apply to the Rental Deposit Authority for an ‘agent id’ to be used in bond transactions. An agent id will also give the registered owner/agent access to the MyBond portal to view their bond history.